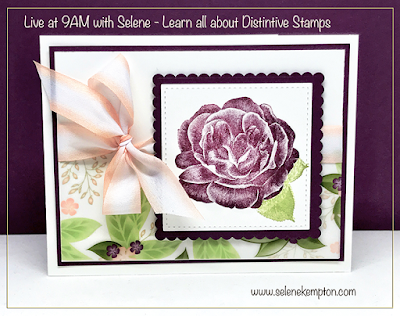 Have you seen the new distinctive style stamps from Stampin' Up? Yesterday's facebook live video is up on Youtube, and a friend suggested that I should keep the "bloopers" in there, so it's in it's full replay glory! It is so easy to get a "WOW" with just plain stamps using the distinctive line of stamping products. They do come both in photopolymer and red rubber. Thanks so much for stopping by today, I hope you like the video! Here is the shopping list if you need any of these products.